Looking for a middle school? Your 5th-grader will want to know: Do I get a locker? The fall of 5th grade is a busy time for families. For many of you, especially those who attend a zoned elementary school, middle school admissions may be your first encounter with school choice. For everyone, researching and applying to schools will take up a lot of your time, but if you’re organized it doesn’t have to be stressful. Here’s how InsideSchools can help you successfully navigate middle school admissions. 1: Read our middle school guides to find out how to apply. - Review the nuts and bolts of the middle school application process in How to Apply. - Learn about the different types of middle schools in Your Options to help you find schools that are a good fit. - Get tips for how to assess the quality of a school in What to Look For. - Watch our middle school videos: How to choose and what to look for video guides. 2: Research your options using our Find a New York City Public School feature. Search for a particular school by name or number. Enter your address to find schools close to home or to see if you have a zoned middle school. Search for a full list of middle schools in your neighborhood, school district or borough and then select from a range of filters such as dual language, charter or Staff Pick to narrow your results. Some schools are open citywide. 3: Print out and bring along a copy of our handy middle school checklist to open houses and school fairs. Tip: Print it out double-sided (or staple the two pages back-to-back) and then fold it into a compact brochure. 4: Review our InsideTools for advice on specific topics such as after-school, charter schools and special education. 5: Check our calendar to stay on top of important dates such as district middle school fairs, deadlines and when schools are closed. District middle school fairs: The Department of Education is hosting middle school fairs in most districts. Attending a fair is a great opportunity to meet with school representatives and learn about all the middle school options open to students from your district. We'll be at some of the fairs too, so stop at our table to say hello and get more information. Check our calendar for the address and time of each fair. 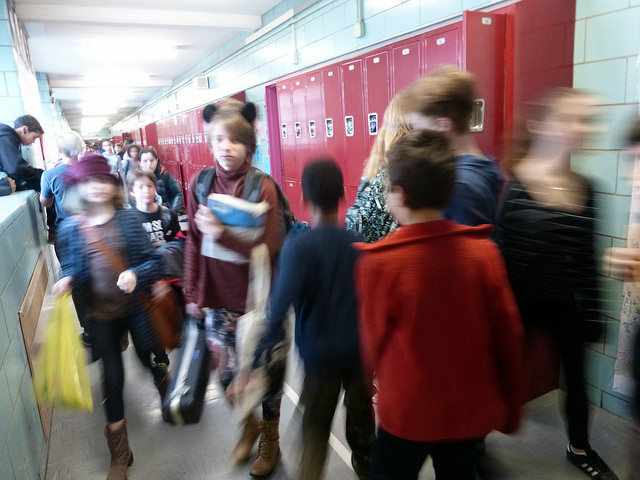 Open houses and tours: Check the Department of Education's calendar of middle school open houses and tours throughout the city. If you don’t see a school that you’re interested in, check its individual website or call the school. Tip: Each school’s profile page on InsideSchools includes contact information including a link to that school’s individual website.